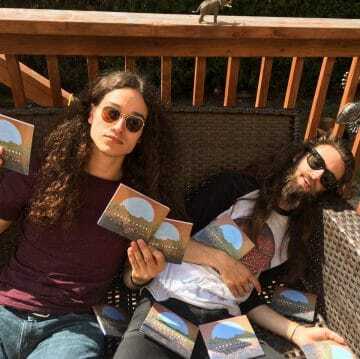 Canadian hard rockers Crown Lands consisting of the duo of guitarist Kevin Comeau and lead vocalist/drummer Cody Bowles have released a video for their song “Mountain” via the website Global Citizen. “Both 23 years old, they’re ready to use their music to tackle some big issues in Canada and around the world. That’s why they decided to write “Mountain,” a blues-derived rock song that addresses the mistreatment of Indigenous people at its core. They’ve chosen to premiere their music video on the Global Citizen platform, in hopes of reaching a vast audience dedicated to social change and ending extreme poverty.